WITH TWINSET, PAOLA TURANI AND ARMANDO TESTA STYLE ALWAYS WINS. An abandoned factory. Two crews dressed in the coolest clothes. A free-style dance competition with no holes barred ... for the outfits. That’s how Twinset appears on air starting September 6 on Sky. The brand has decided to focus heavily on the X-Factor, covering the entire programming period right up to the final on 13 December. And that’s not all, 15" spots will be broadcast every Thursday when the programme is shown and the reference world of the campaign will revolve around music and challenges, a way to play with the contents of the programme. The story was specially created for the brand by Armando Testa, with executive creative direction from Michele Mariani, art director Laura Sironi, copywriter Marta Agostini, and the stars are the clothes from Twinset and influencer Paola Turani. 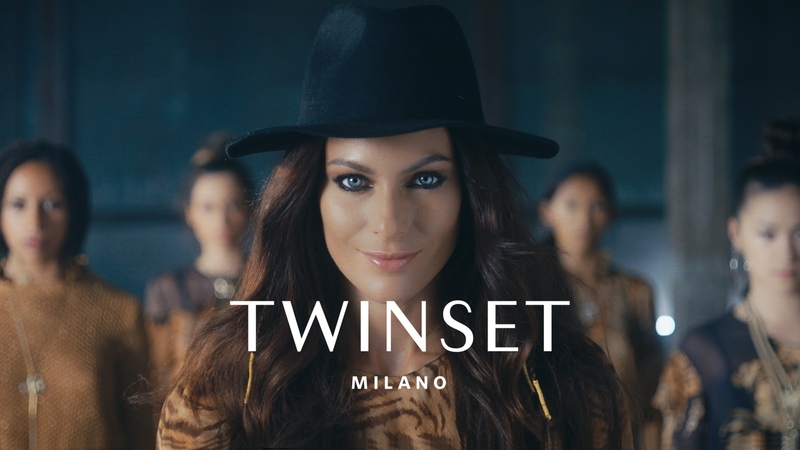 She is the ambassador of Twinset, chosen because she is the prefect representation of the brand values and for her ability to create empathy with a younger audience. In the commercials, Paola even manages to split herself into two so that she is in charge of both crews, in a challenge against herself where every outfit must be better than the previous one and where, in the end, style is like the jury: it always wins. The campaign will be developed on TV, web and social networks. Star: Paola Turani Executive creative direction: Michele Mariani Art director: Laura Sironi Copywriter: Marta Agostini Production company Acca Films. Directed by Jacopo Farina.